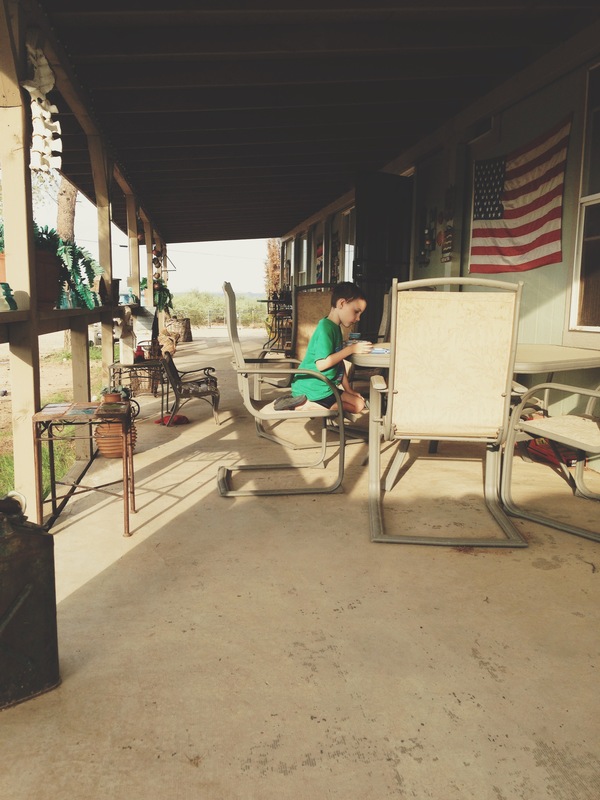 Posted on July 17, 2013 by Becki M.
It’s been far too long since we’ve made our way down to my parent’s house in Tucson, so we decided to go stay a night this past weekend! 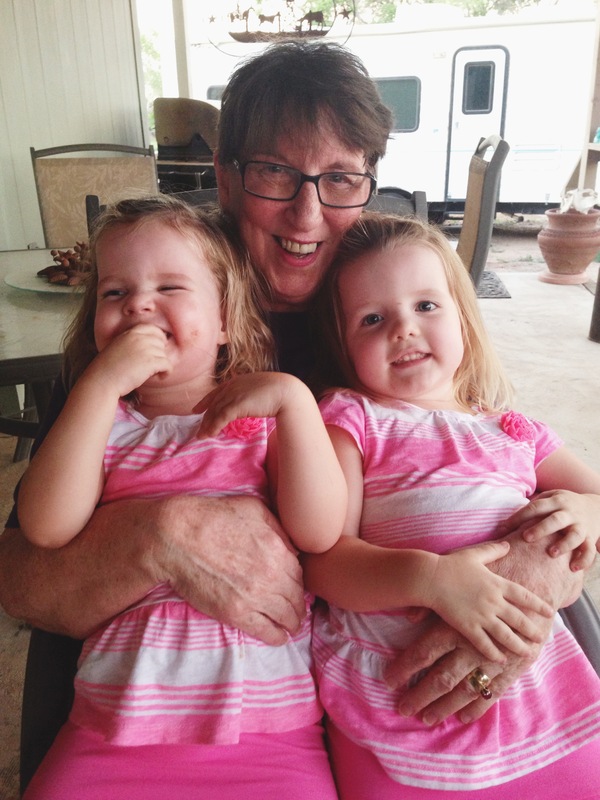 The kids were super excited; they L-O-V-E Granma and Papa’s house. 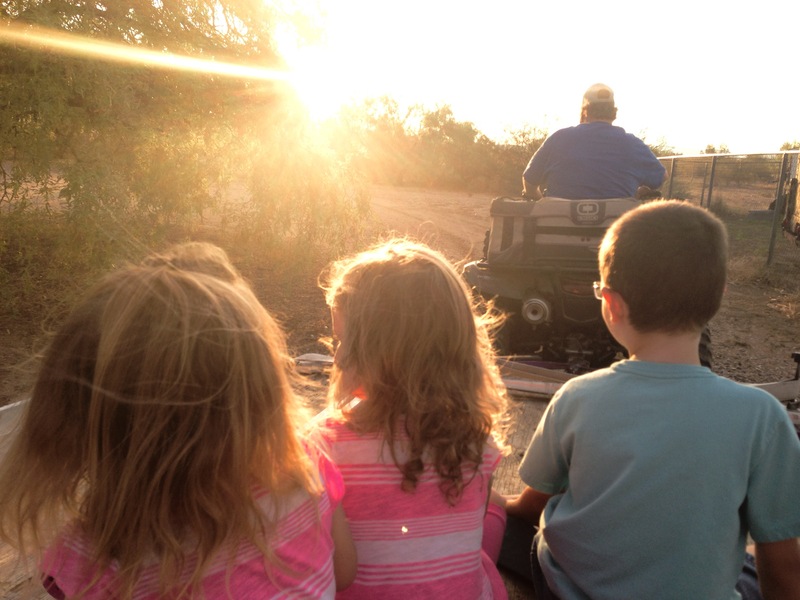 They sit on two acres of land so the kids just run around and play. Dirty doesn’t even begin to describe them. 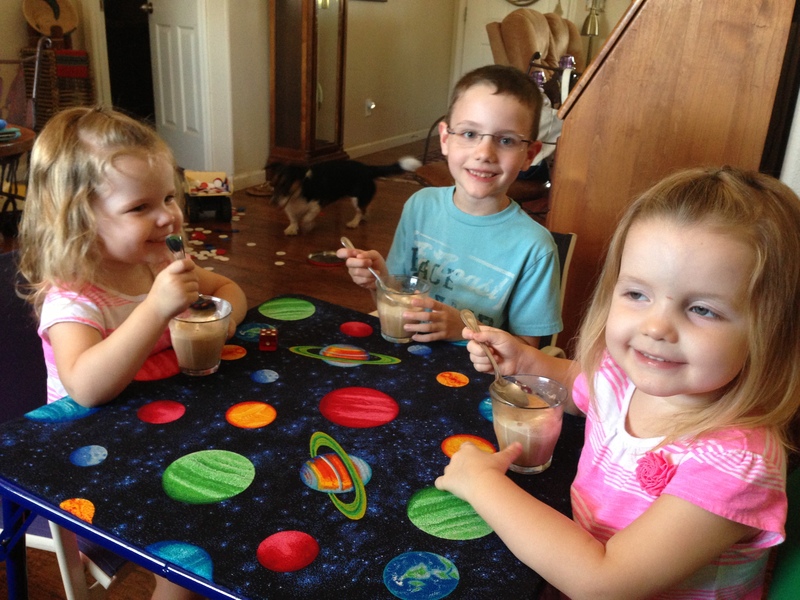 When we first got there, it was way too hot to play outside, so Papa decided it was time for a special treat: Root Beer Floats! 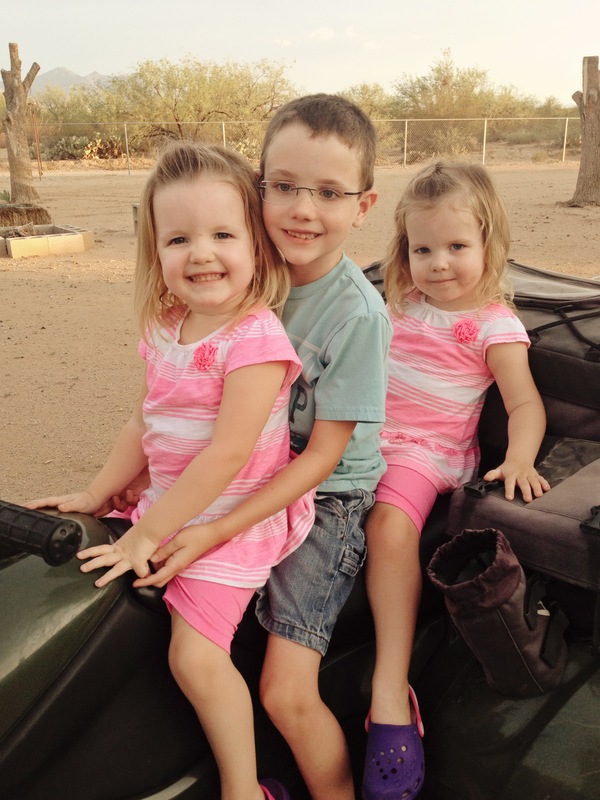 To say they were pleased with Papa’s treat would be quite an understatement. 🙂 They slurped them down in no time! 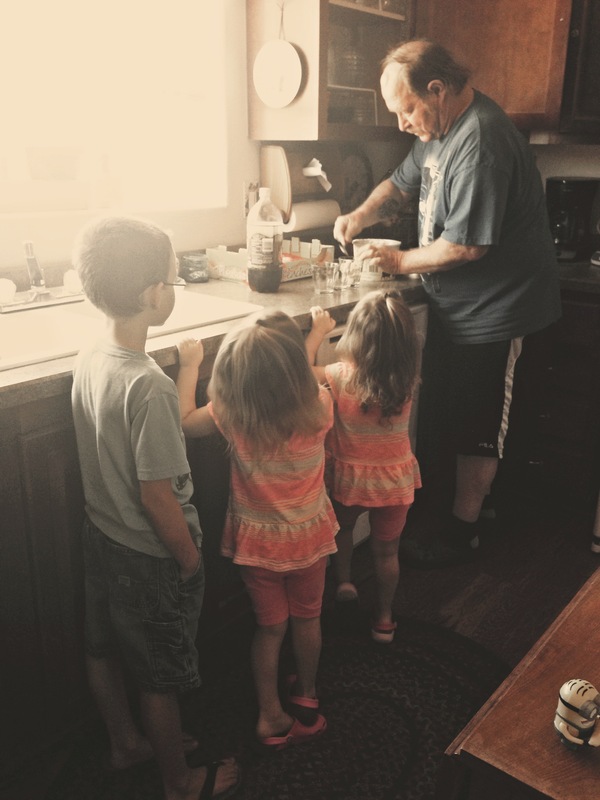 My Papa (so the children’s Great Papa) loves to come over and hang out with us. 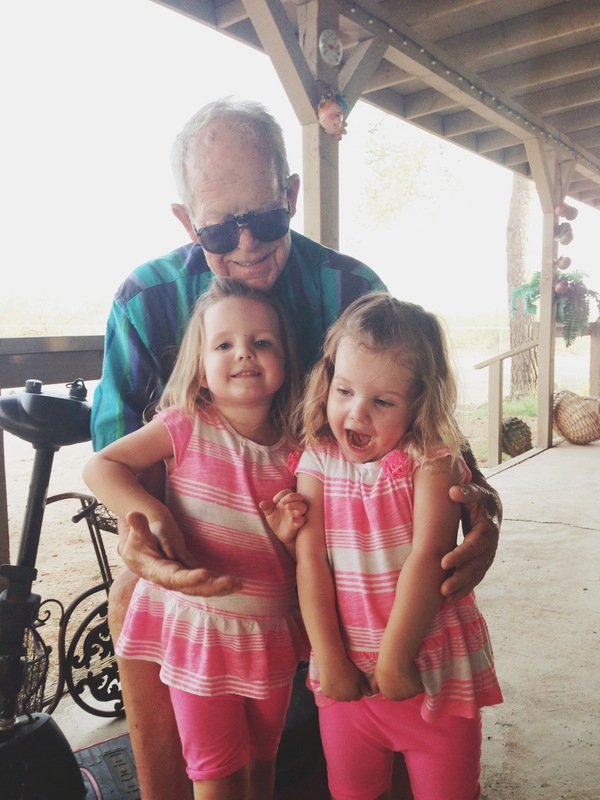 These two girls hold a special place in his heart! Granma always takes such good care of us! 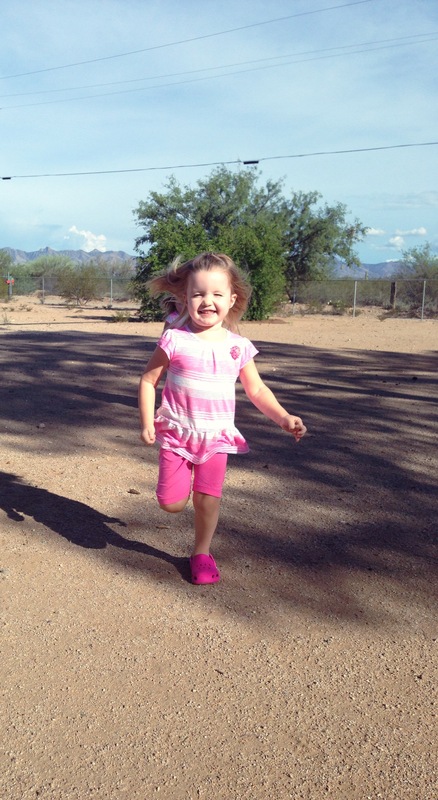 She has stocked the house with toys, toys, and more toys, so the children come and have something fun to do! They have an endless amount of things to entertain them while they are there, and I never hear “I am bored” once! I love it! The huge, deep tub in the master bath is a nightly tradition when we stay. 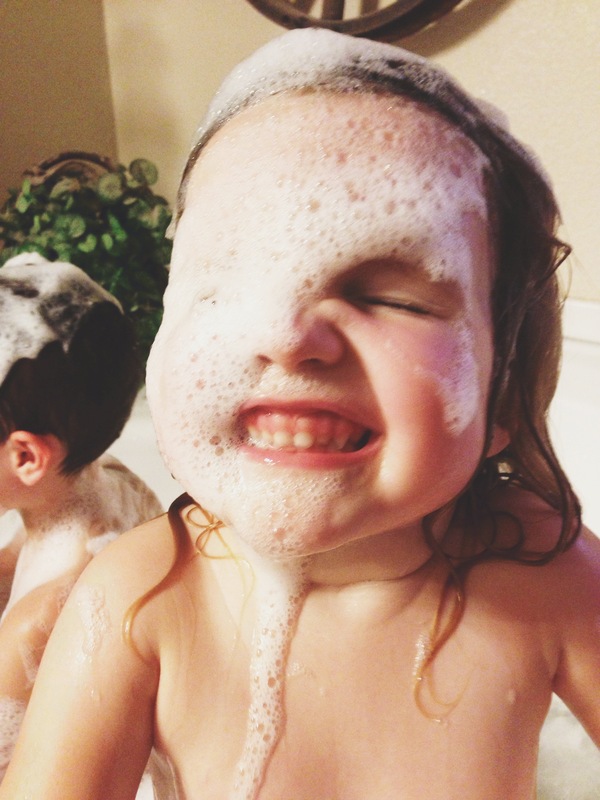 All three kids pile in the tub and make it their mission to get bubbles everywhere. 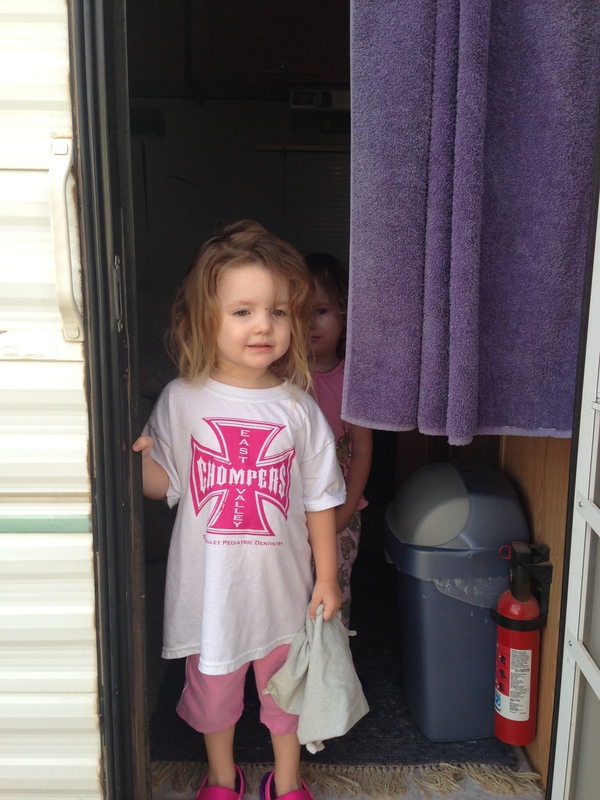 We always stay in the camper parked next to the house. 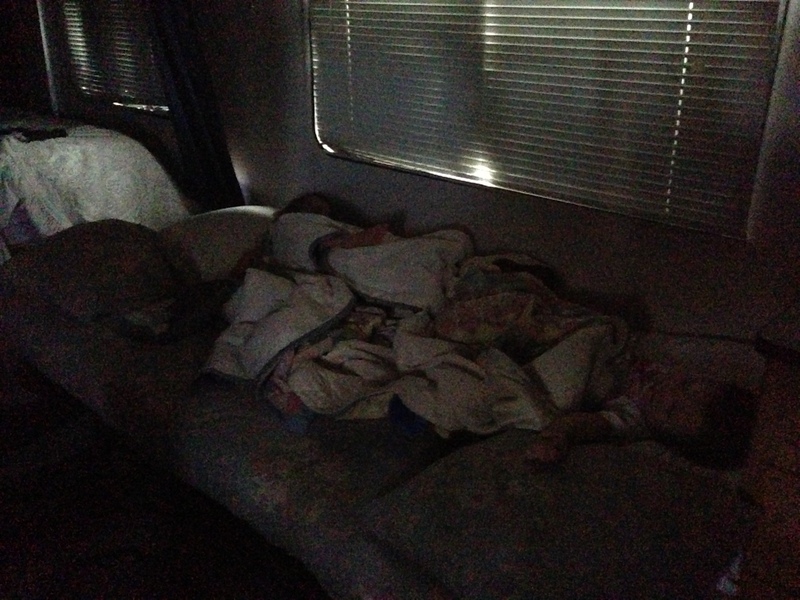 While its hard to see, two tiny girls are snuggled, sweetly sleeping the early morning hours away! Jackson always rises early, even at home. It was early and beautiful outside. We don’t get to eat breakfast outside very often! Good morning, sunshine! I love her bedhead! We had such a great time, and can’t wait to do it again. I’m thinking once it gets below 90 so they can play outside all day! Thanks Granma and Papa!!! We had a great time! The Very Last Binky and a Ding Dong joke. Posted on May 31, 2013 by Becki M.
It really was bittersweet, even as much as I hated searching for, washing, buying, and finding those things. This was the very, very last thing. She is potty trained. Sleeps in a big girl bed (or at least, her sister’s, which we are working on, lol!). But even though it was a teensy bit sad, it was such a relief. Its always a bit stressful giving up crutches your children have, especially when it relates to sleep. She did awesome, though. The first day she asked for it at nap (but still took one) and asked for it at bed (but still went to sleep) and hasn’t asked for it since. Now for the story of the ding dong joke. 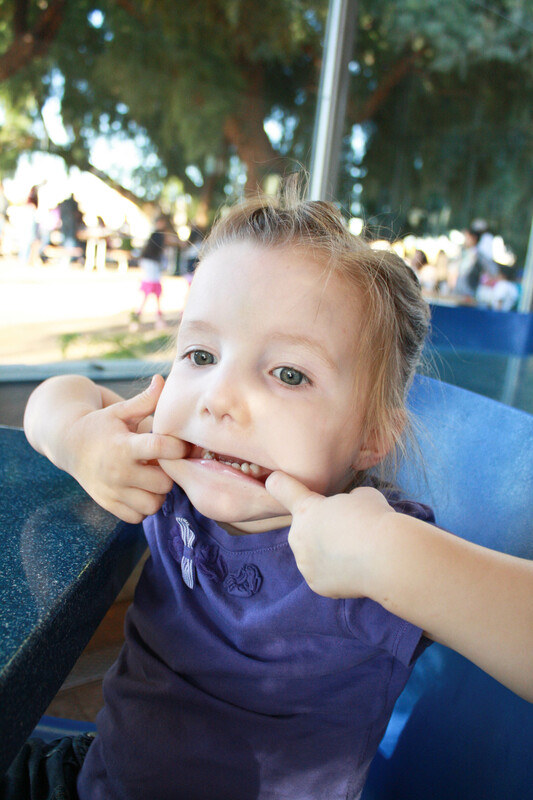 Well, the children frequently like to tell jokes at the dinner table. Jackson is getting good at it, London just cracks herself of and doesn’t understand punch lines or how to use them correctly (which is funny), and Brooklyn has her own form of a joke. 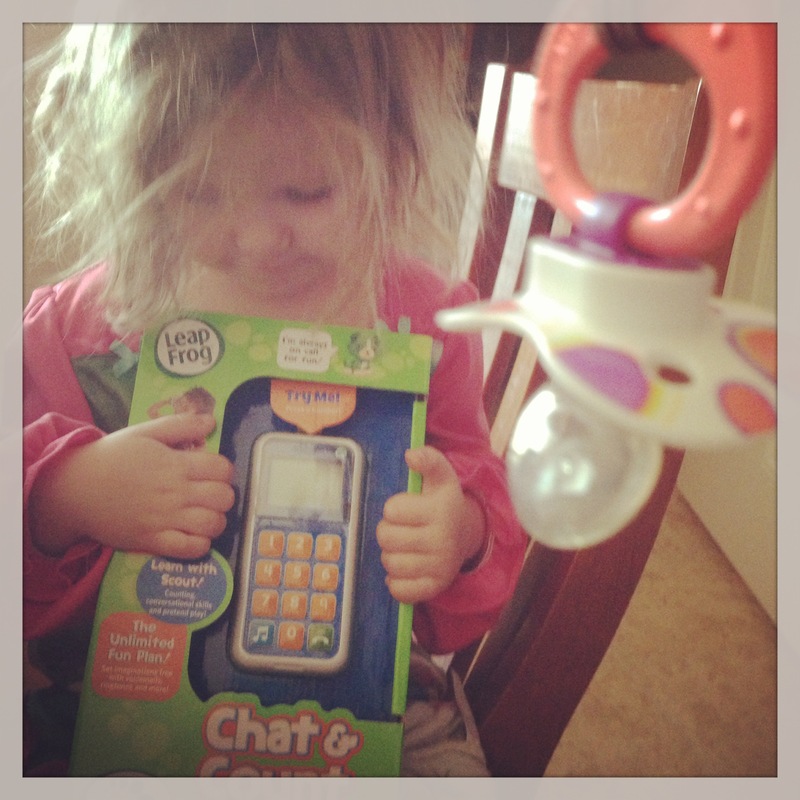 Instead of saying, “Knock, knock?” for a ‘knock knock joke’, she says, “Ding Dong!”. I don’t know what it is about that, but it cracks me up! She really does think you are supposed to say Ding Dong, like a doorbell! I laugh every.single.time. I hope she does it forever. 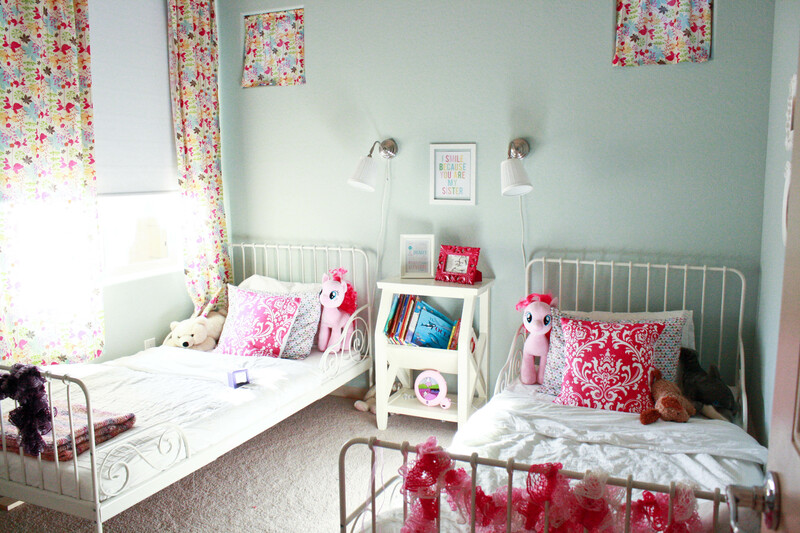 Posted on May 15, 2013 by Becki M.
This room has been really fun to work on! 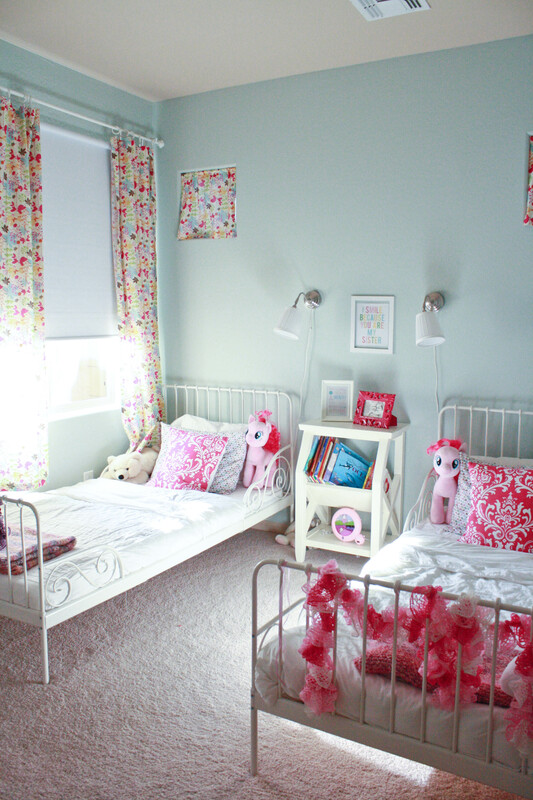 Its just so much fun to have a room in your house that just screams “girl”! London really wanted pink walls, but since I knew that everything else she and Brooklyn would want would be pink or purple, I decided to go with an aqua color called Palladian Blue by Benjamin Moore. It is puuuurrrfect in person…the perfect robin’s egg blue. From there I just added special touches I knew they would love. 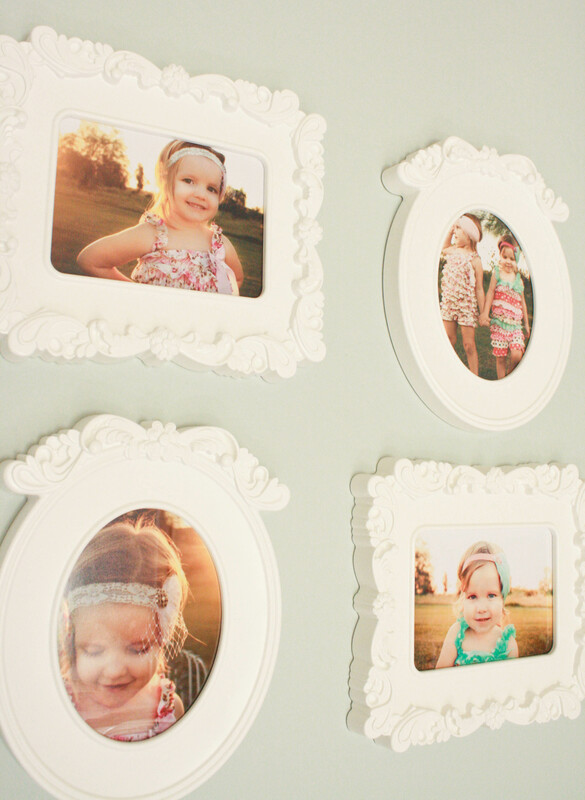 I found these adorable frames at IKEA for $5 each, which is awesome! 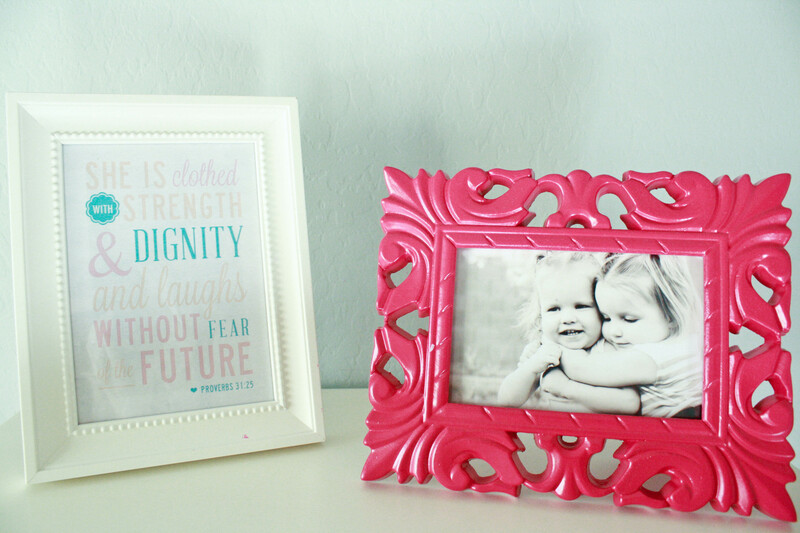 Their bedside table holds a cute picture of the two of them and a great little print I found! 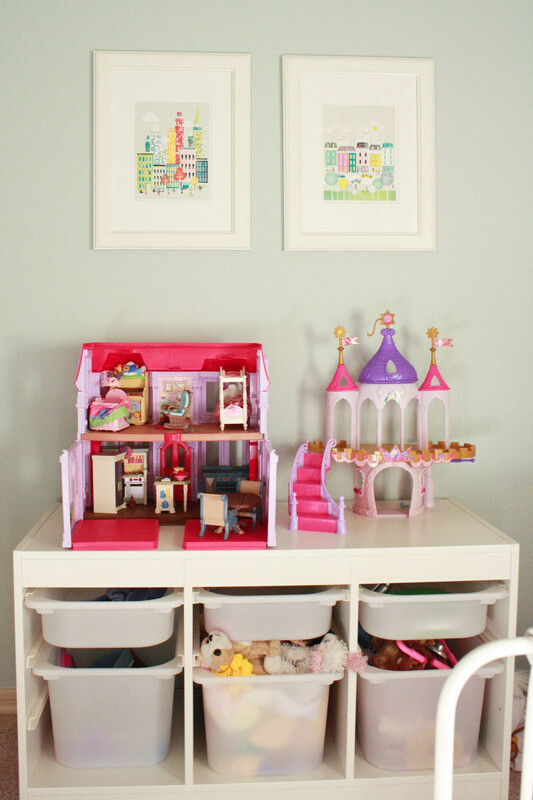 Moving toys into their bedroom was a new thing that came with this house. We lost the playroom, so most of the toys are now located in their rooms and in the living room (well hidden behind the couch). While having toys in their room has proven to be a distraction at bedtime and nap time, I think they are getting used to it. 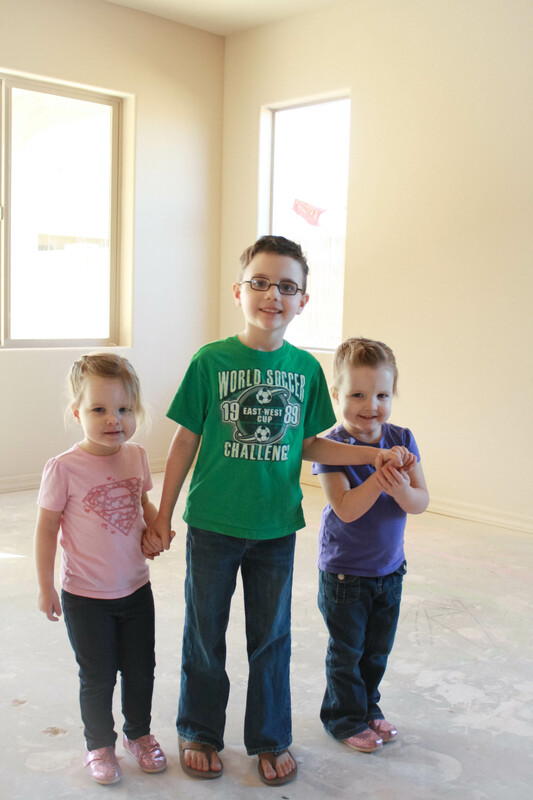 Their room is much smaller than the room at the old house, so they are also learning to put toys away as soon as they are done. I’ve actually liked it this way; having a playroom meant that at some points, ALL the toys were out and clean up was a huge task. Now that the toys are split up between 3 different rooms, the mess never becomes crazy. These prints are one of my favorite parts of their room! 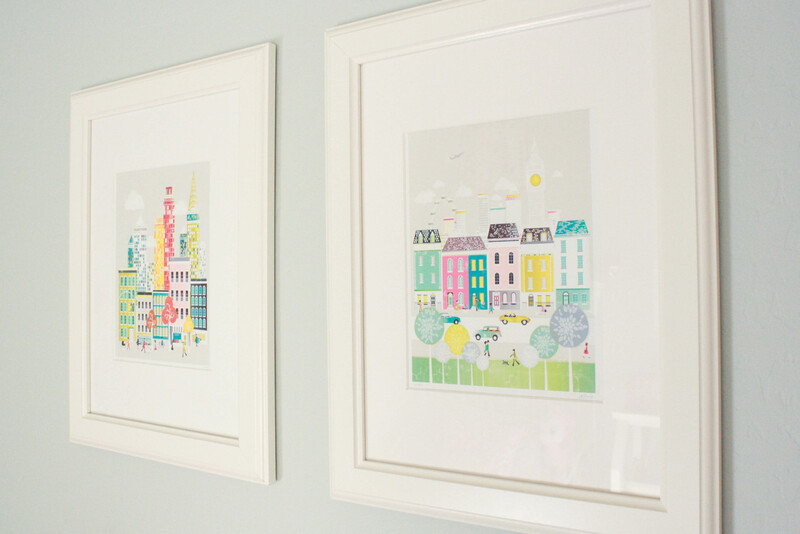 I ordered them from a shop in Etsy; they are vintage-esque prints of the cities London and New York (Brooklyn). I think its fun to have something that speaks to their names but isn’t glaringly obvious. 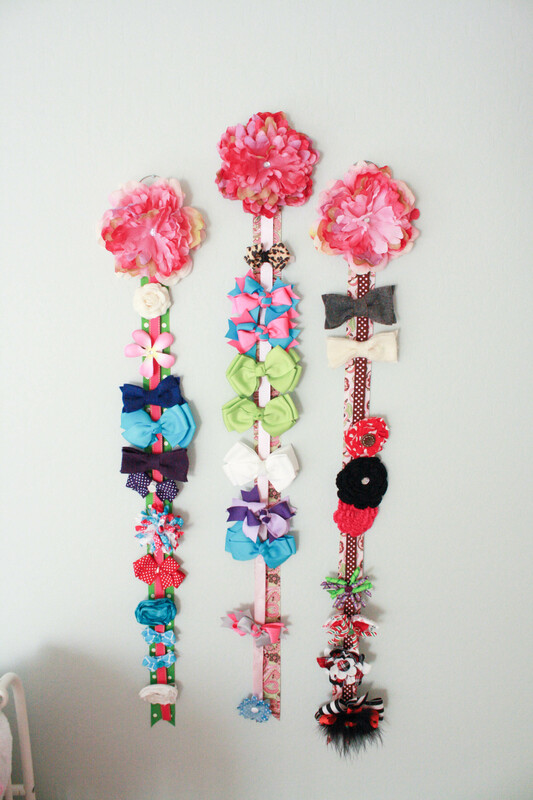 All their hair bows are stored neatly behind their door! Posted on May 14, 2013 by Becki M.
I’m a perfectionist. Shocking, I know. I’ve been dying to post pictures of the house, but I’ve been caught up in the idea that I wanted rooms finished before I gave the grand tour. Well, about a month in, I realize that it would be a very, very, very long time before you saw the house at all if I did that. 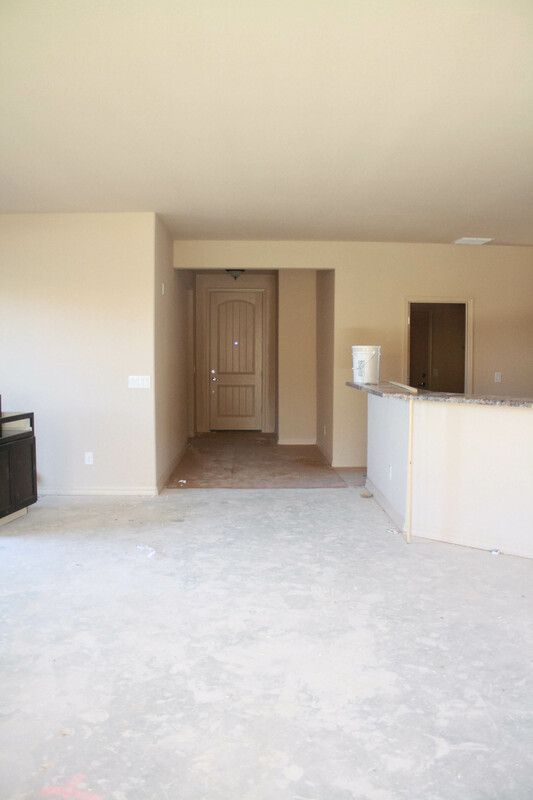 So, I’m getting over myself and giving you tours of the house before rooms are finished. 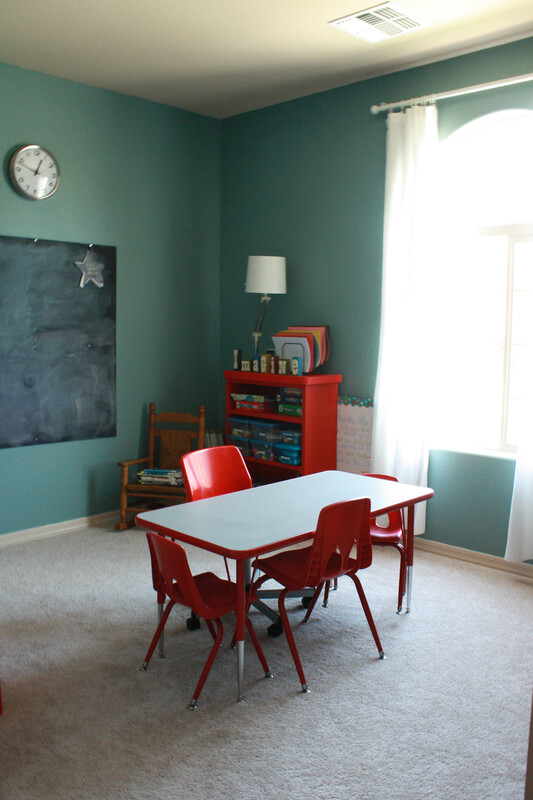 The one room in the house that HAS to be as complete as possible is our school room. Its the heart of the house, currently. We spend most of our time there, or thinking about being there (since lately school has been on a back burner while we try and get everything back together). We moved into our house very fast, and I had most of the boxes unpacked in the first week…but thats all it was. Unpacked, but not organized. Finally, this morning, I finished most of the organizing in that room. So, I present our School Room. 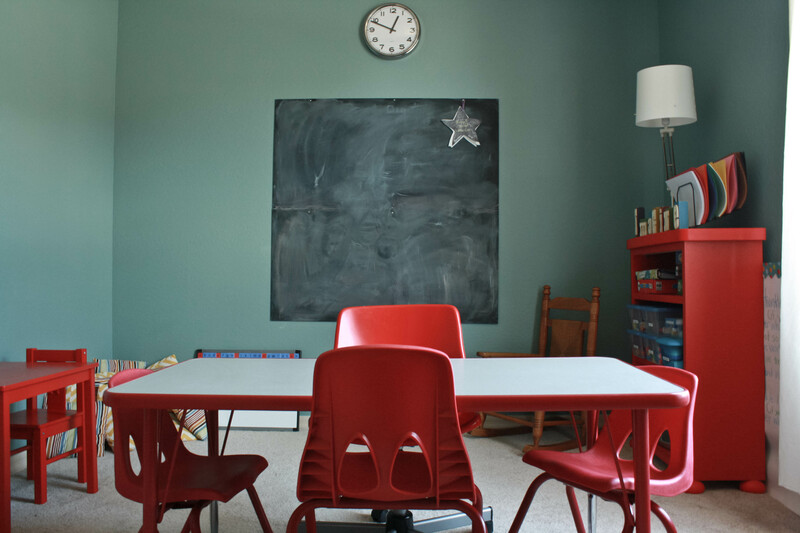 Now, my original idea was to paint that entire wall in chalkboard paint. After doing a bit of research, I realized that would be quite an undertaking. 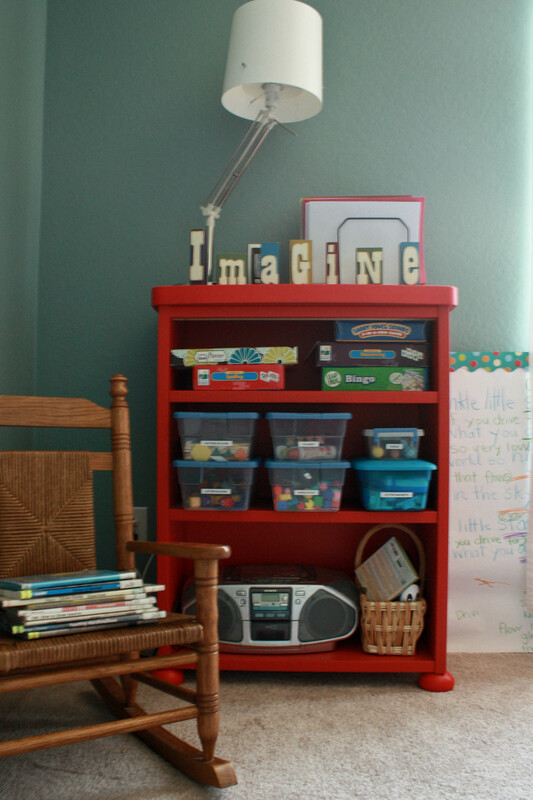 Chalk paint requires multiple coats, isn’t low VOC (which means that room would reek for months! ), and isn’t cheap. So, we found these chalkboard sheets at Home Depot for $10 a sheet. I used two of them and hung them up. We are going to install moulding around it to make it look more finished. I LOVE having a chalkboard. 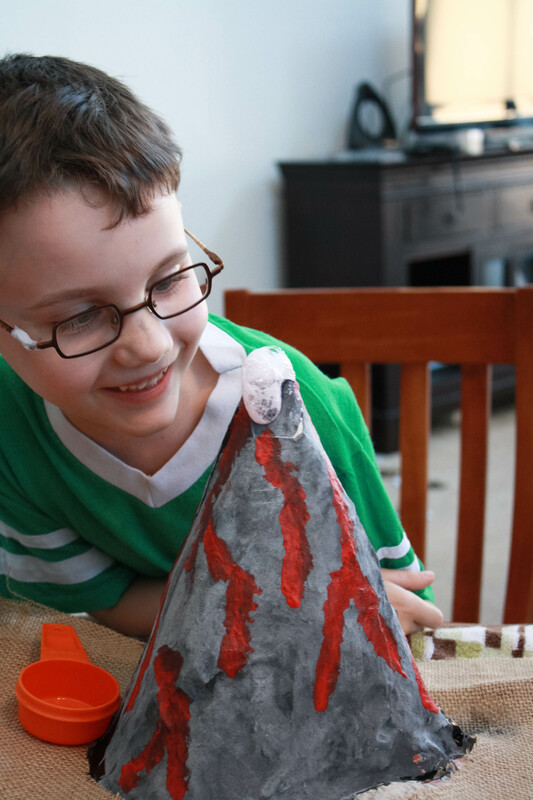 Way more fun than a whiteboard, and easier to maintain with children. With the whiteboard, whenever they wanted to draw on it, I’d always end up with marker on the wall. Chalk washes off much easier! This little section has worked out perfectly for the girls. 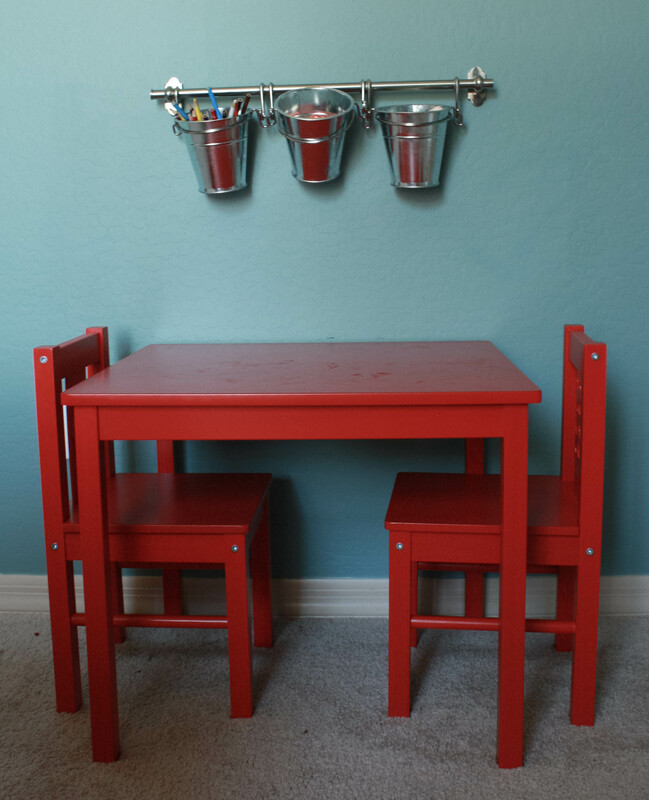 The metal buckets and rod are from IKEA and hold crayons, colored pencils, and chalk. The picture makes the rod look crooked (lol!) but its not. I promise. Above the rod I have a wire system to install that will hold all of their works of art for display. 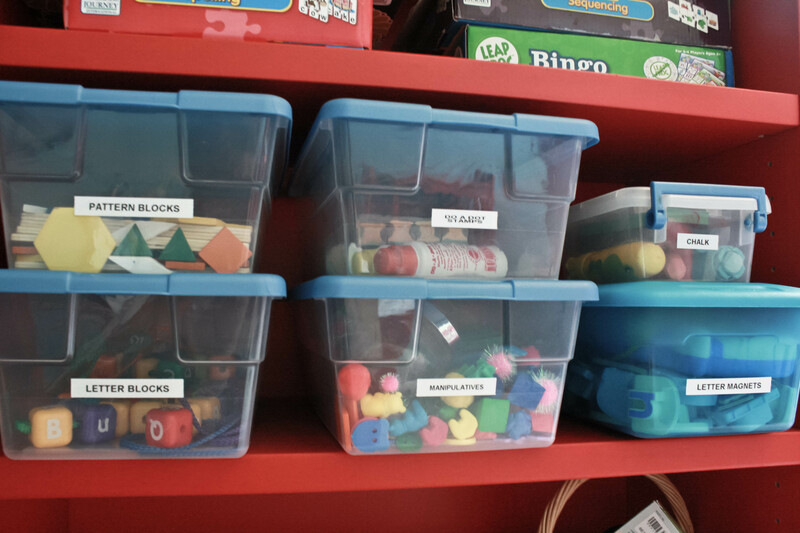 This shelf holds most of the things I use for preschool/kindergarten. We have a rocking chair and a stack of pillows to relax in while reading, and music is easily accessible. I keep all our construction paper organized by color so we can get to it easily for projects. I got a label maker. I’m in love. It just makes finding things (and putting them away!) so much easier! This is one of my favorite parts of the room. We removed the closet doors and put shelving in the closet. Having this has made a world of difference! 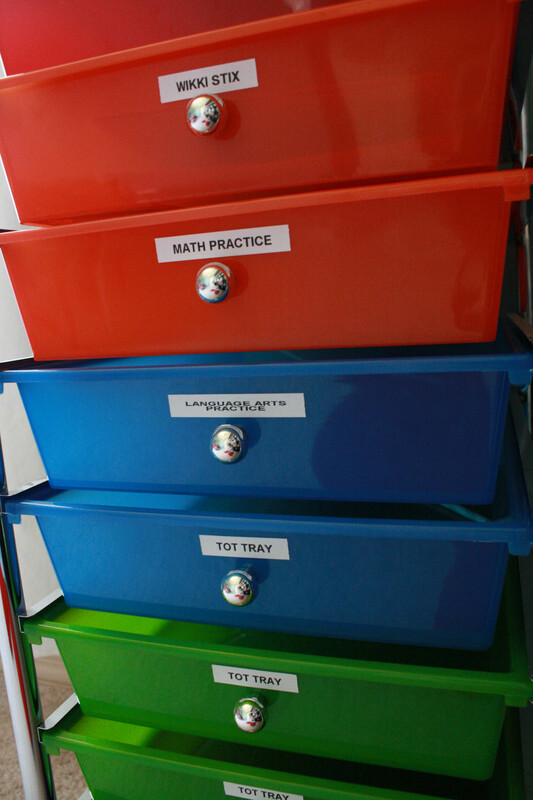 I can keep things up high and out of reach (like markers, glue, scissors, office supplies, etc) and keep all our curriculum and books organized. 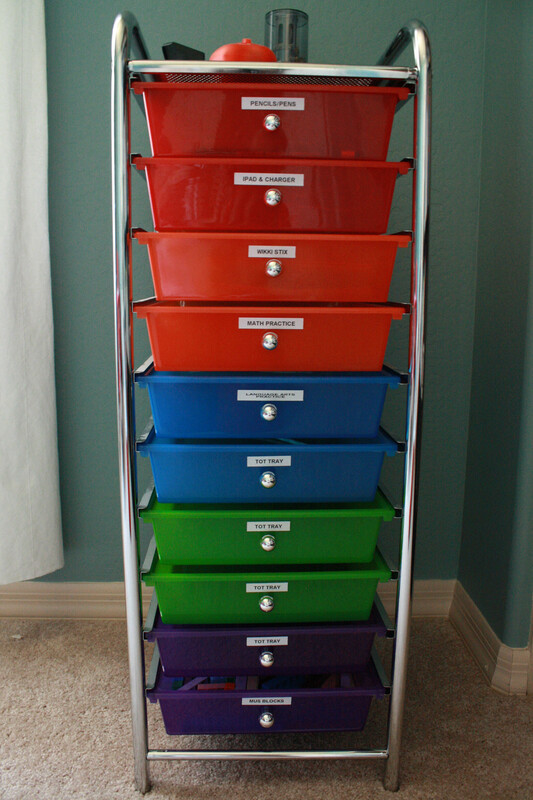 I am going to get more containers for the bottom four rows for all our preschool things and curriculum I haven’t bought yet for next year. 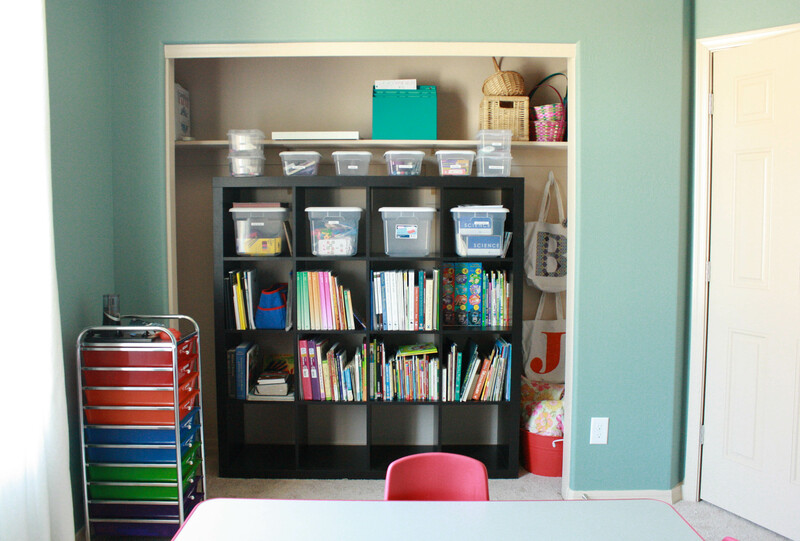 We have a place to hang our library book bags, store extra pillows for times we read on the floor, and extra supplies like shoeboxes for science experiments and art projects. I was *this* close to getting rid of this bad boy, but I’m so glad my husband talked me into keeping it. 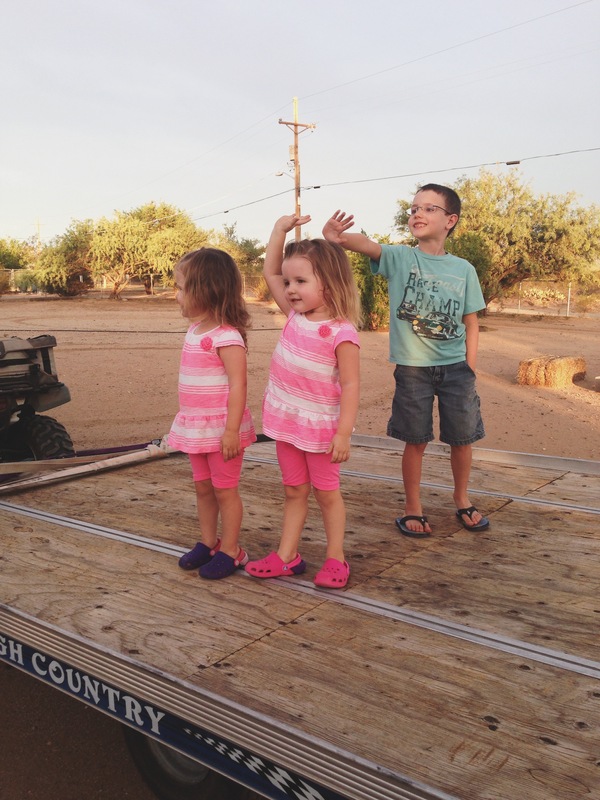 I tried to do a workbox system with the kids, but it just didn’t work out. So, instead, its become a sort of spare organizer AND place for extra work. Two of the boxes will have things Jackson can work on to earn extra technology time, like math worksheets and language arts activities. If he wants to play a game, he has to pick something out of one of those boxes and complete it first (that was Greg’s brilliant idea!). I also made four of the bins “tot tray” bins, which I can’t wait to use. I’ll put one activity in each box, and when we are doing school and the girls need something extra to do while I work with Jackson, they can just pull out a Tot Tray and work on that! So that’s the room so far! I still need to hang up our calendar, the magnetic sheet for magnet play, bookshelves in the pillow corner for our library books, the art display wire, watercolor drawings I did of the kids, our think pad (big pad of paper we use to flesh out ideas and introduce concepts), and finish the chalkboard, but its so close to being done! 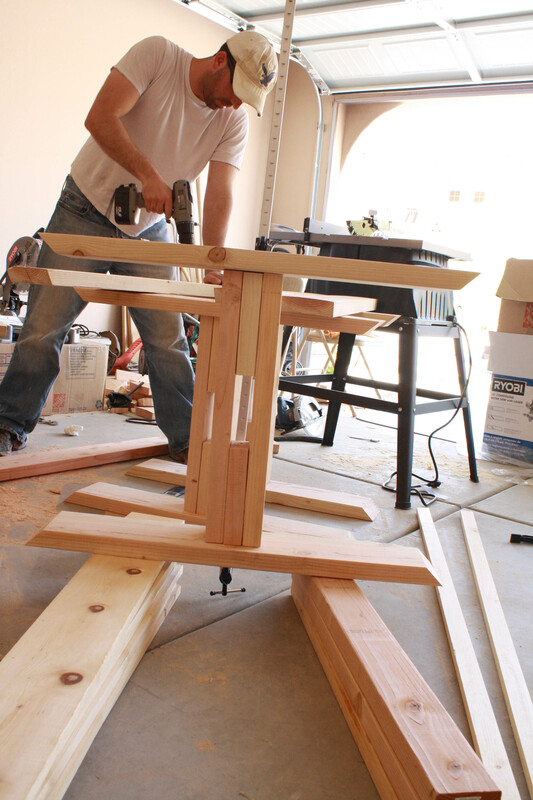 My husband wants to be a carpenter when he grows up. 🙂 Its soooo close to being done as we speak…I just have to stain and poly it! 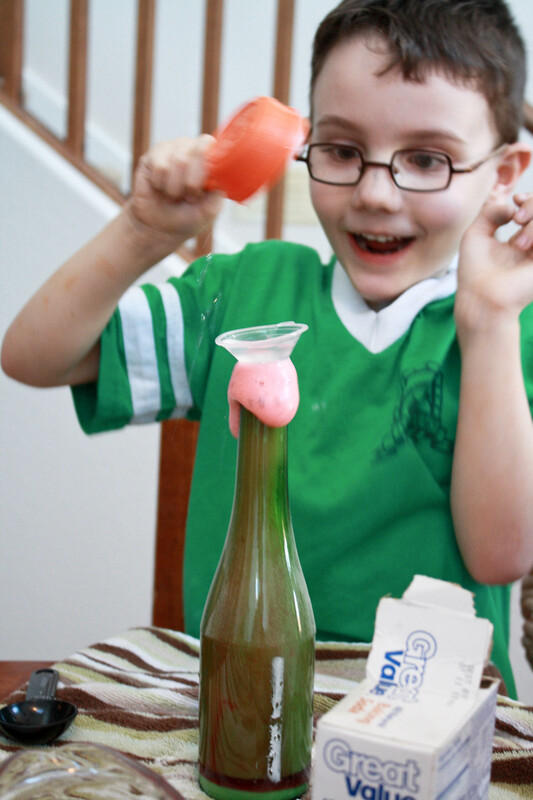 Posted on February 25, 2013 by Becki M.
Science has been one of our favorite subjects this year. We started off with Human Anatomy and loved it, but after 14 weeks of that we decided we wanted to take a break and learn about other things. So, I’ve just been doing unit studies of various things he is interested in, or things I knew he would be learning around his grade level according to state standards. 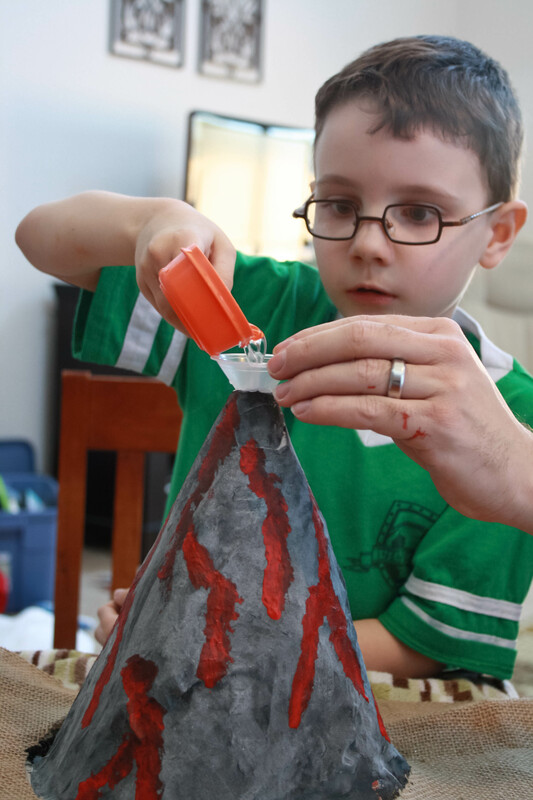 First, we had to build our volcano from paper mache. 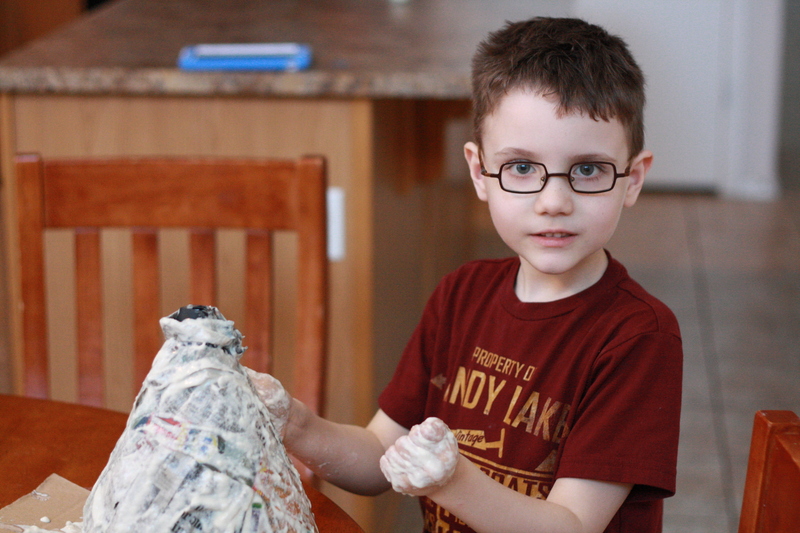 I haven’t used paper mache since the fourth grade, and as we were doing the project I realized why. Messy. Sticky. Takes forever to dry. 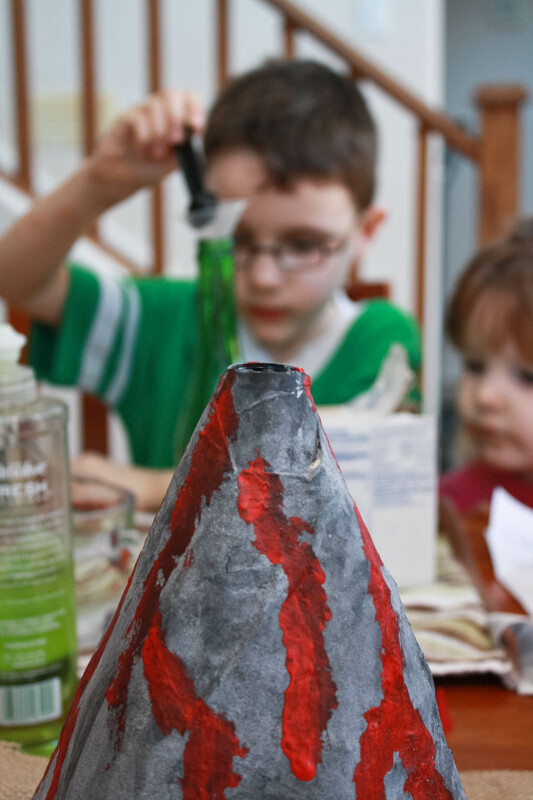 Jackson wasn’t too thrilled with it (it is kind of hard to keep the newspaper from ripping apart when soaked in the mixture), so you can guess who had to build it. It took 3 days to fully dry. So after waiting and waiting, then painting, we were finally ready. Now, this is what is great about the kit: part of the assignment was for Jackson to figure out the best combination of ingredients to produce the best explosion. He had to play “chemist” and experiment with 4 different recipes. The first three recipes didn’t produce results you would expect from an explosion. He had to chart his findings and keep moving forward! Now that he knew the best formula, he moved on to the main event! He had a lot of fun with this kit. So much fun, that we went ahead and ordered the next one to finish out our school year. I already have a unit on Rocks that we will be studying for the next two weeks, and then Set 3 will come with units on Minerals, Crystals (he gets to make his own rock candy! ), and Fossils. I highly recommend the Young Scientist Club kits. 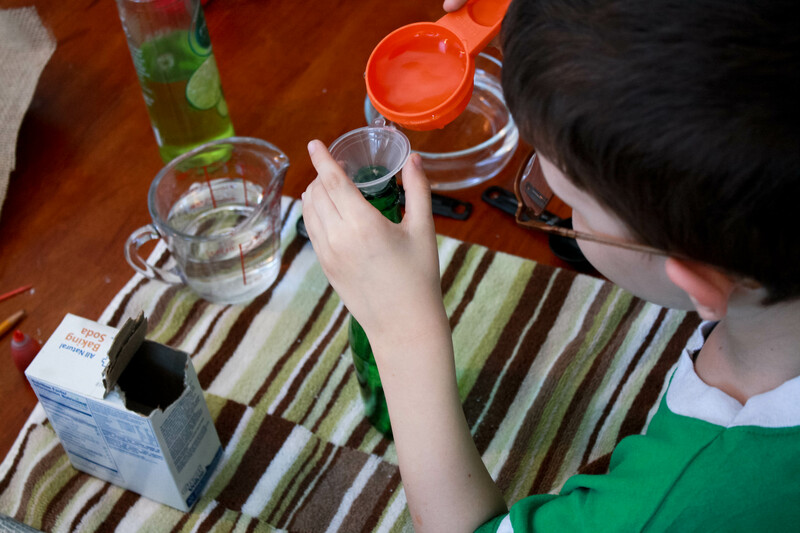 They come ready to go with almost everything you need to complete your experiments (minus simple items you have readily available at home) and teach the lesson. I just found out that they even have science kits for preschoolers, which I’m going to order for the girls to do next year! The kits can be used again and again (you may have to replace some of the items if they aren’t meant to be used more than once). Even if you aren’t homeschooling, these kits are great to have around for hot summer days when you are trapped inside! Hours of entertainment! We can’t wait for our next one! Posted on February 17, 2013 by Becki M.
Step 1: Shove it in your trapper. Preferably, lightning fast. Don’t worry about choking or even enjoying it…just get.it.in.there. 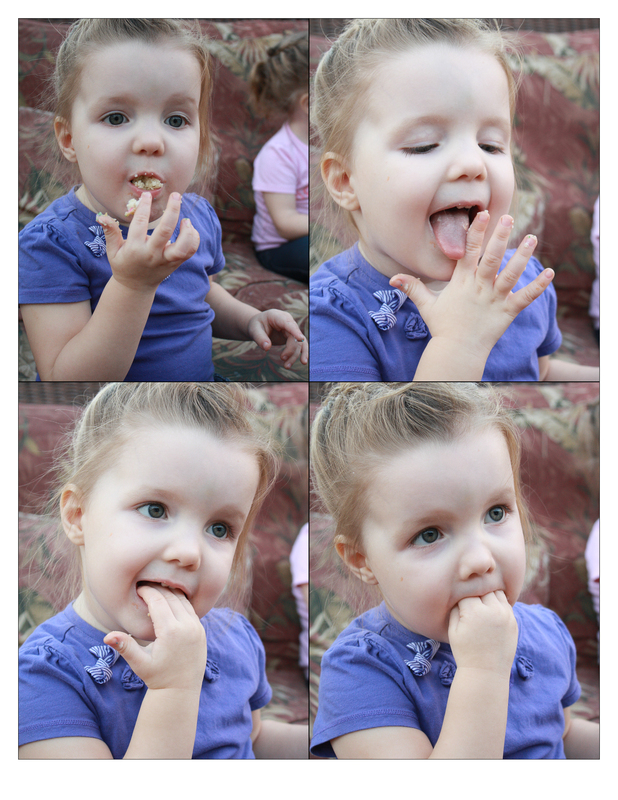 Step 2: Go for the clean up, using the tongue God gave you alllllllllllll over them fingers. Step 3: Still some tidbits remaining? Not enough frosting on just one finger? What the hay…just shove them all in. Step 4: The thumb! Make sure you get the thumb in there, and get to the very bottom of the fingers. You never know where frosting might be hiding! Right? I love kids. They do what we wish we could. I’d do the same thing if it was socially acceptable in my 30’s. Maybe one day I won’t care. My sweetie pie also surprised me with a sweet photo. 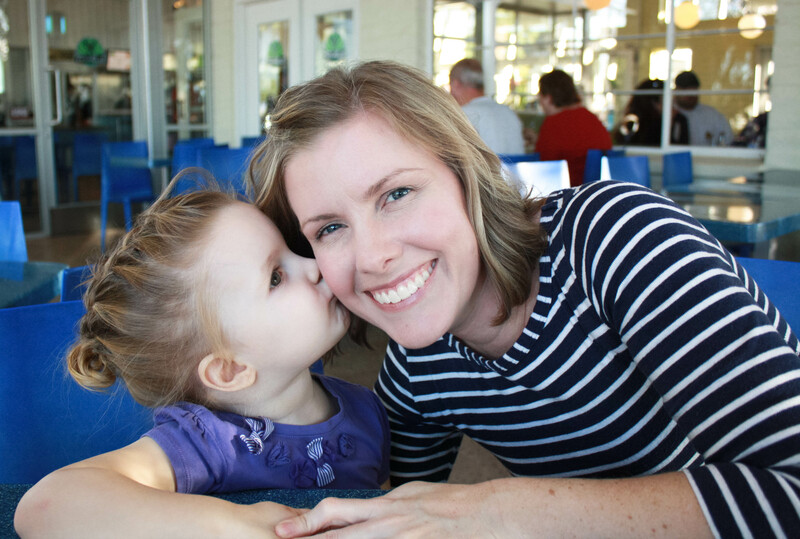 We were leaned in, ready to take a photo together, and she turns her head and kisses my cheek. 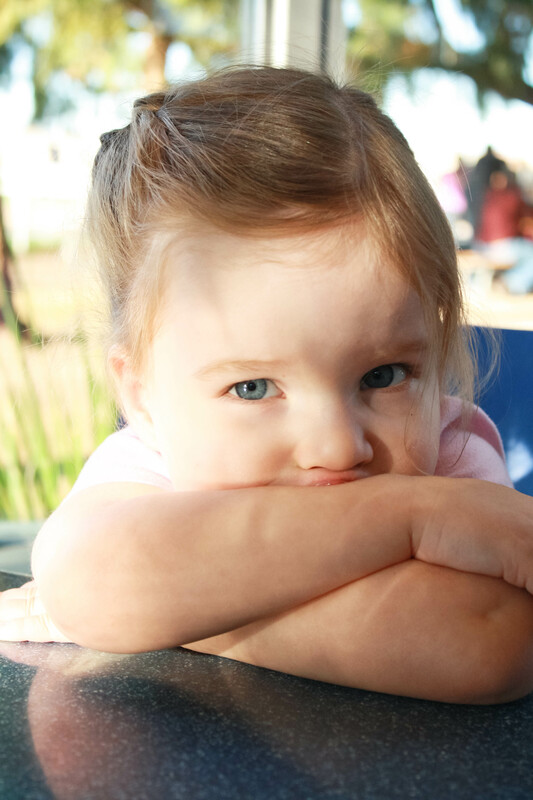 Maybe all these years of a camera in her face are paying off…I have a model, lol! 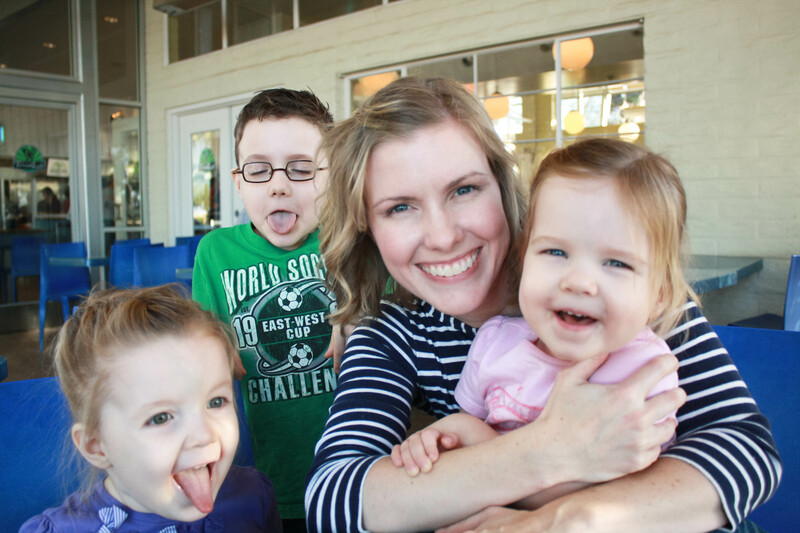 And in this one, Brooklyn and I didn’t get the memo that it was a funny face picture. Oops. 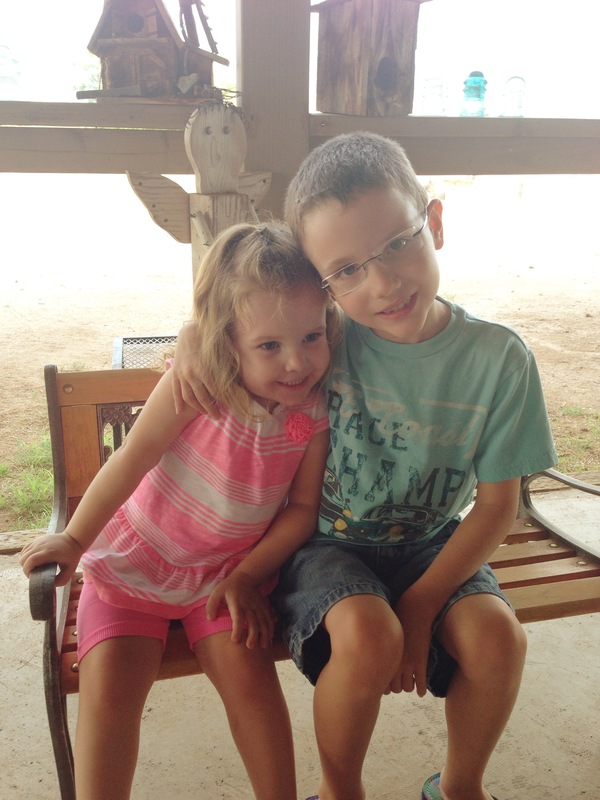 Jackson, looking grown up and…big. 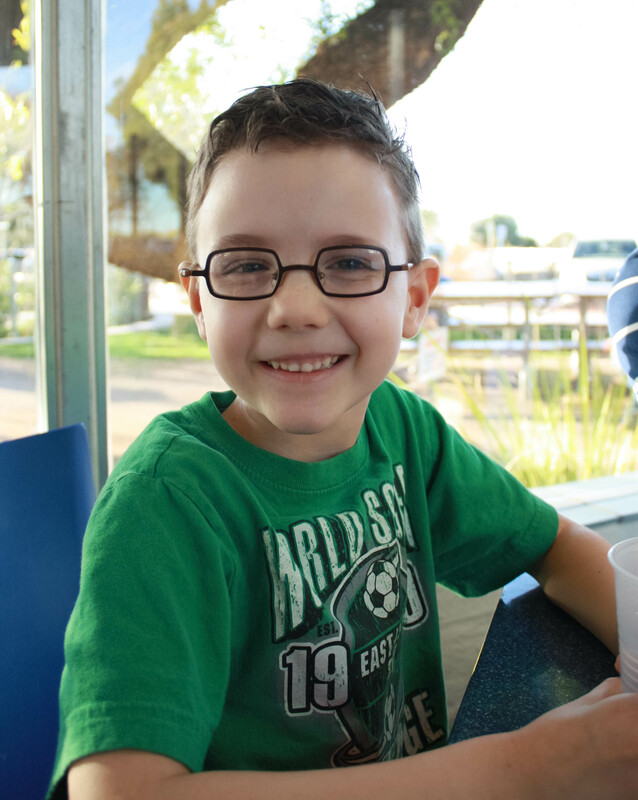 Gosh, he is almost 7. London, practicing her model skills. You know, cause crazy faces are so the rage right now. Those dimples and curls…I can hardly stand it. The house is almost done! It’s almost a kind of torture at this point. It looks like a house. Everything is built; we have a driveway and a walkways, and locks on our doors. 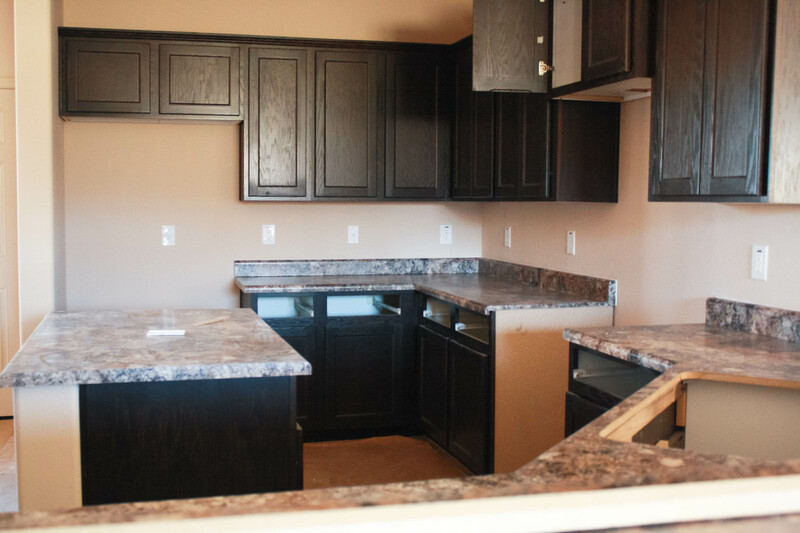 We have cabinets and countertops! 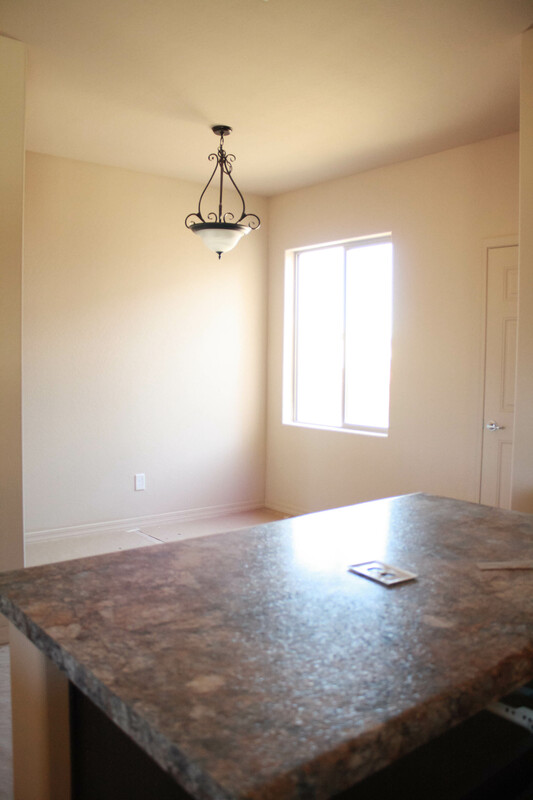 The only thing missing is the appliances (and the drawers?)! I cannot believe how much cabinet space I have. 23 of them. Plus a walk-in pantry. View from the guest bath down the hallway. Schoolroom is at the end of the hallway. Bedrooms are finished and awaiting their tenants! 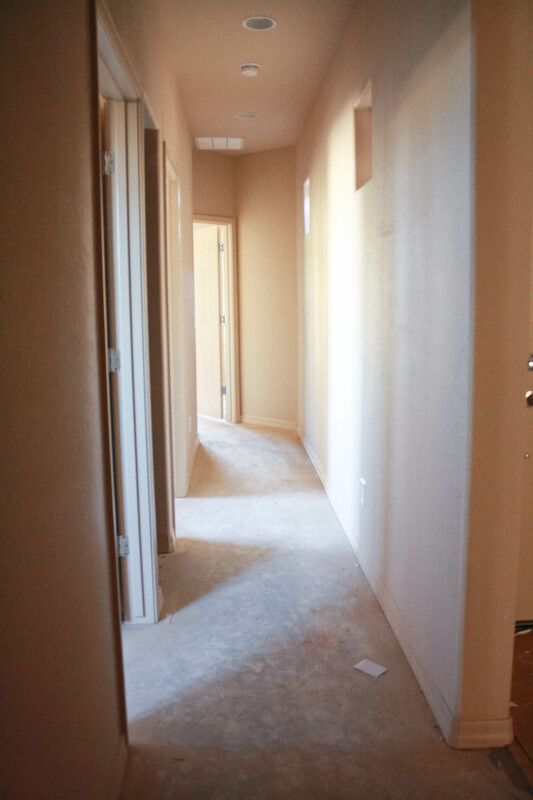 Walls are painted and trim is installed…all we need is carpet! Maybe another week or two and it will be done! Finished! Woo-hoo!!! 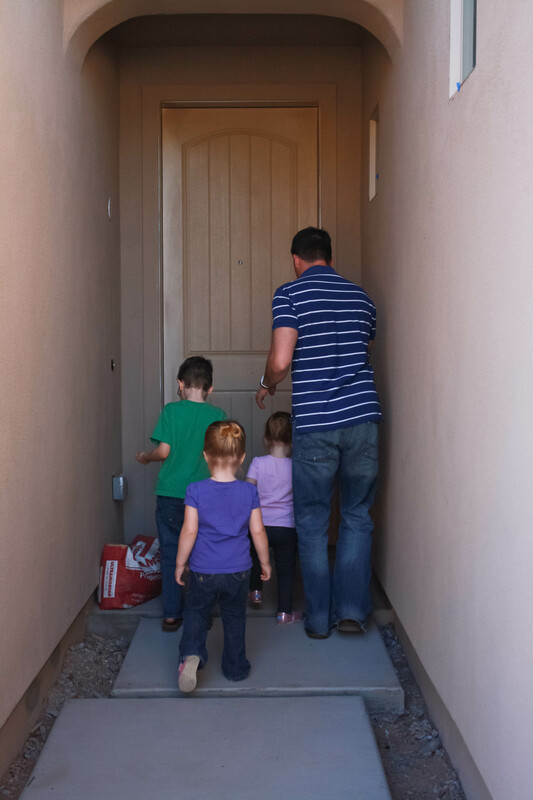 Of course, we still have to actually sign on the dotted line after the house is finished, and that process can take a few weeks, so we are looking at a mid-late March move in. We have been so blessed these past few weeks; we went ahead and listed our current home on the rental market and had renters within 2 days! Crazy-town! Also, these particular renters have their own washer and dryer, so I can take mine and not have to get new ones right away (even though I was kind of excited to get new fancy washers, lol!). Its getting so hard to make the drive all the way back to our old house. We are in major packing mode and this point, which I love, because I adore purging my stuff. I am not a pack rat, so I’m am really enjoying the process of donating/trashing things we no longer need and organizing them more appropriately. I love to pack! Unpacking? Not so much. The next pictures I post of our building project will be of our FINISHED house!!! Hooray!! !